What does virtual card payment mean? A virtual card payment is a digital payment that is made over the internet or a telephone with a virtual card. Virtual payments are not made using a regular business debit or business credit card. Instead, the payments are made using randomly generated credit card numbers and CVV codes that represent the underlying accounts but that do not allow access to them. Virtual payments are a good tool for businesses because they help to prevent fraud. Payments fraud is prevalent. According to the 2017 Association for Financial Professionals Payments Fraud and Control Study, 75 percent of businesses reported being the victims of payments fraud in 2016, and 32 percent of the cases involved corporate credit or debit cards. By using virtual cards, businesses can protect themselves from payments fraud. How can I send virtual card payments? To send virtual card payments, you must first generate virtual debit or virtual credit cards. Card issuers and banks may offer virtual card services to generate the random credit card numbers for you. Once your cards have been issued and activated, you can use them to make remote purchases. Since virtual cards are not plastic, you cannot use them to make in-person purchases at most stores. 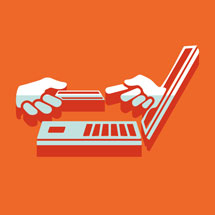 Instead, you can use them to make virtual card payments over the internet or phone to pay your suppliers and vendors. Several different types of virtual cards can be used to make virtual card payments. Your card issuer might allow you to request ghost cards, procurement cards, purchasing cards, and p-cards. Each of these different cards works for different virtual card payments needs. Ghost cards are numbers that can be assigned by large companies to individual departments. Each number that is issued can be restricted to make the types of purchases that are needed, and all of the department’s employees can use it. The charges are charged back to the department for simple tracking. Procurement cards are also known as purchasing cards or p-cards. These are cards that are given to individual employees to make purchases on an ongoing basis for a limited time period. 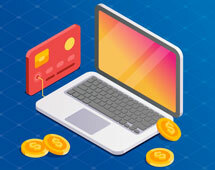 Finally, virtual debit cards and virtual credit cards may be issued to make single purchases, and the card numbers may expire as soon as the transactions are completed. Ghost cards are the best choice for large companies or businesses that are quickly growing. The numbers represent the business’s high-balance account and can be used vertically or horizontally. Vertical payments happen when a number is assigned to a high-volume supplier who can charge orders to the number. Horizontal use is when numbers are assigned to individual departments for all of the employees to use. P-cards are more useful for small- to mid-sized businesses. These are cards that may be assigned to specific employees according to what they need to purchase for the company. The cards can be set to expire after a certain period of time or can be turned off when the employees are not at work. The cards can be restricted for use at specific locations and times, and business owners can set daily or weekly spending limits. Virtual cards are not plastic. They are simply credit card numbers that represent real accounts or cards. If the virtual card numbers are stolen, thieves will not be able to use them to access the accounts that they represent or to make charges. Business credit cards are credit cards that are issued to businesses but not consumers. The cards require credit checks and may carry high APR interest rates and annual fees. When employees use business credit cards, thieves may use the numbers to run up charges on the linked credit lines or to steal identifying information from the business. ACH transfers are transfers from one bank to another for payments. 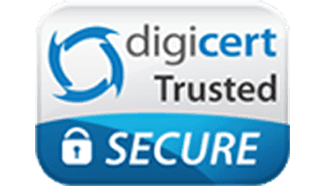 It is an electronic fund transfer system that is used to send and to receive government and business payments such as payroll, taxes, and bills. ACH is used as a fairly quick way to send and receive payments. It is also a low-cost method of completing many transfers simultaneously. Businesses may expect to pay $0.15 per ACH transfer, and large numbers of transfers may be bundled for a lower fee. 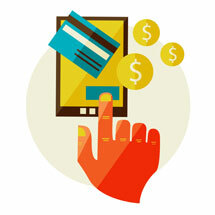 Virtual card payments are payments made with virtual cards over the internet. In comparison to ACH transfers, they are much more impervious to fraud. In the 2017 AFP study that was referenced earlier, ACH transfer fraud was the second leading type of fraud suffered by businesses with 46 percent reporting that they suffered this type of payments fraud. Hackers may intercept ACH transfers, obtain banking information from them, and access the originating accounts to steal money. Virtual card payments are also much more secure than cash. Businesses that keep cash around run the risk of internal fraud. Some employees may be tempted to dip into a company’s petty cash fund or cash reserves with the idea that they will pay it back. However, few employees are ever able to repay cash that they steal, and the thefts can lead to substantial losses before the employees are caught. 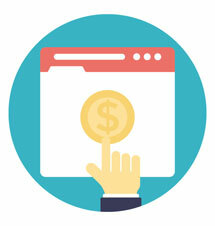 Virtual card payments allow businesses to get rid of petty cash systems completely. When you can instantly generate a virtual card to make a payment or purchase, there is no need for you to have cash in your office. Virtual card payments are also much more transparent, and you can see the transactions that are made in real time. 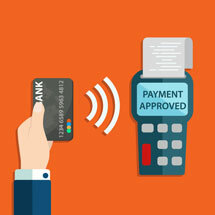 Virtual card payments can only be made remotely in most cases. Businesses can provide numbers to high-volume suppliers who they trust, and the suppliers can charge new orders to the numbers. Accounts payable staff can use the cards to pay invoices that are received electronically. They can also provide virtual numbers for payments that they make over the telephone. Most brick-and-mortar stores are not equipped to accept virtual card payments in person. However, consumers who have digital wallets may be able to use them to make virtual card payments. As digital wallets become more broadly available, it is likely that businesses will also be able to make in-person payments with virtual cards in the future. Making virtual payments can automate the categorization of transactions. 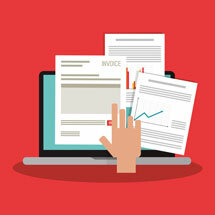 The API can be integrated with your accounting software so that the payment data is imported directly into your program. You can use tags such as “2018 conference expense,” “tax-related,” or others to help you to find the transactions later. Using virtual cards to make payments also allows you to easily track transactions to specific employees, departments, or suppliers. You can also restrict the categories of purchases that can be made with each card and restrict your employees to only use them to make preapproved purchases from the vendors that you choose. Since virtual cards are not physical, there is little risk that they will be lost. They are normally used once before expiring. Even if a hacker can obtain the virtual card information, it is likely that the number will have already expired, rendering the information that was stolen useless. Many companies that use virtual cards generate a number right before they pay for a purchase in the exact amount of the price. The companies set restrictions on the cards to only be used at the particular vendors and pay for the item. The number then immediately expires, rendering it useless. In addition to protecting your accounts and your information from external thefts, using virtual cards can mitigate your fraud risk from internal thefts. When you switch your payment systems away from checks, reimbursements, and petty cash to virtual card payments, you can prevent your employees from accessing your accounts or your money. Virtual debit cards are much more transparent than other types of payments, including virtual credit cards. When purchases are made with virtual debit cards, the amounts are subtracted from your balance. You can see your balances online, and you can also see your virtual debit card transactions from your API or your dashboard in real time. Virtual credit cards are also a secure form of payment. However, since the charges are routed to your revolving credit line, you might not see the transactions that are made with your virtual credit cards until you get the monthly statement from the card issuer for your original credit card account. API stands for an application programming interface. A programmer can use it to integrate a service into the applications at your company. Some companies like Bento for Business offer APIs that allow end-users to create virtual cards within their own applications. Users are also able to make requests through the API to generate virtual card numbers. You can request as many numbers as you need and to set individual restrictions on each card. 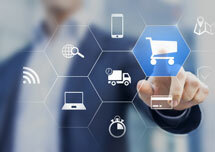 Some companies offer virtual payment dashboards so that business owners can see the balances on each card that they have issued and the types of transactions that have been completed. Business owners can log into their dashboards and see transactions in real time. The dashboards also have other functions that can benefit businesses. Some companies allow business owners to turn cards on and off instantly from their mobile phones with a tap of a button, and they can access their dashboards 24 hours per day from wherever they are located. Small businesses may have fewer resources available and may not have strong expense management practices. This can leave them at a heightened risk of fraud. Expense management is vital for the success of businesses and includes all of the different expense policies and tools that you use to manage and track your business expenses. Some virtual cards offer strong expense management tools and spending controls. For example, the Bento for Business virtual Visa debit cards allow you to control when, where, and how your cards can be used. For example, you can issue a virtual card to an employee who needs to order steel-toe boots for his job a virtual card in the amount of the shoes that can only be used to pay that vendor. Once the boots have been ordered, the number will not work. Bento for Business is focused on providing strong expense management tools and spending controls for businesses of all sizes. 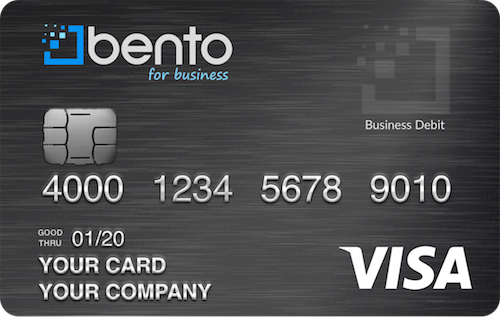 The virtual debit cards at Bento for Business are a better alternative to businesses than other payment types, including virtual credit cards. Business owners can order up to 10 cards for $29 per month and will not have to submit to credit checks since the cards are not credit cards. They will not be charged interest, annual fees or other assorted costs. Bento offers a 60-day free trial for businesses. To learn more, call 866.220.8455.